For a while it seemed as if no-one would make it all the way – even if it had felt inevitable that several of them would get halfway. Trott was out for 59, Cook for 76 and then Ballance for 77. They were creeping closer and it was Root who added that crucial extra digit. If you don’t think the third figure matters all that much, ask Alastair Cook, who must continue to endure “hasn’t made a hundred since…” comments even though he made a 95 all of four Tests ago. 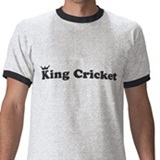 The overnight score hinted that there were runs to be had and none of the fifties were a surprise. They were just steady, reliable batsmen on a steady, reliable pitch making steady runs – you could rely on them to do that. Root, however, is at present even more reliable than your trusty old hammer and somehow achieves this while scoring at a fair old lick. This was his sixth Test fifty on the bounce, a period during which he’s scored at about 70 runs per hundred balls. Only one thing could possibly have outshone Root and that was an unholy melding of mischief, humour and knobheadery. 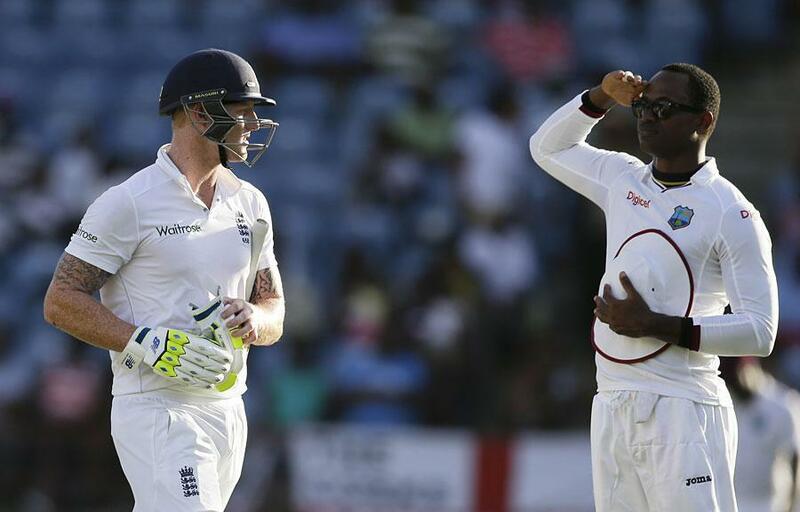 Step forward Marlon Samuels, who opted to send-off Ben Stokes with an ashen-faced salute, hat clasped to his heart. This infuriating goading was all the better for the fact that Stokes isn’t really the kind of person who’s at all happy to laugh at himself – particularly moments after picking out a fielder in the deep. He’s more the kind of person to call you a C-word, before calling himself a C-word, before calling some inanimate object a C-word, before attempting to dismantle that inanimate object with his fists. This is pretty much what he did, although now the rest of the team are wise to his punchy rage-venting, they presumably wrapped him in a giant duvet onesie in a bid to prevent self-annihilation. I’m not a fan of send-offs – but not only was this one really funny, but also Stokes is the sort of player who deserves it. I like this Root chap. They should make him captain. That will screw him up good and proper. To be fair to Stokes, he did make a subsequent joke about it in a tweet later. Presumably once somebody had cleared away the smouldering remains of his last iPhone. By the by, does “The Day of Inevitable Fifties” sound like a bad Doctor Who episode to anybody else? “I’m the doctor,” he said. Could we please have a test wicket that isn’t as flat as the proverbial pancake. Is it any wonder attendances are so poor. Even the barmy army spend half there time asleep.